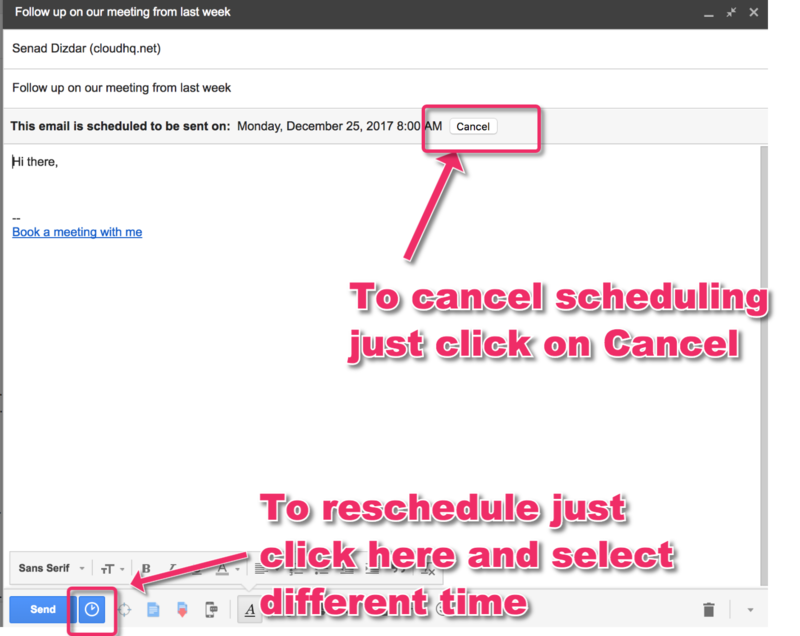 How to cancel or reschedule already scheduled email? /Browser Extensions /Browser Extensions / Schedule Email / How to cancel or reschedule already scheduled email? If you know the message you are trying to reschedule, search for it right within Gmail with the subject line. Once you locate the message, open it up and you will see the manage options right within the body of the message. Select the button to cancel scheduling or reschedule for different time.